My family’s recent trip to Martha’s Vineyard this summer was one that will be remembered for generations to come. 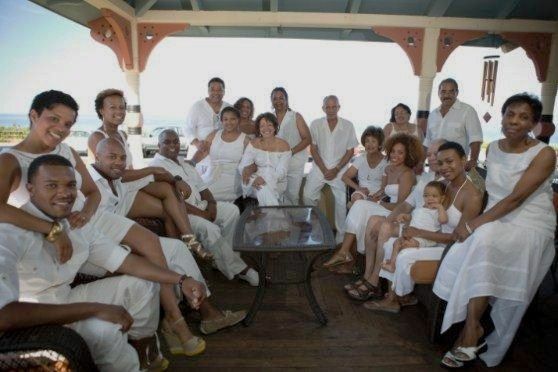 We were able to share countless memories with each other in Oak Bluffs, the heart of the island that has historically been “African-American friendly,” where we bonded with each other on a whole new level than ever before. When I came across the NY Times article below, it triggered all of those memories, especially with the mentionings of several Oak Bluffs landmarks that my family frequented during our short stay. EACH summer for the last three years, President Barack Obama and his family have headed to Martha’s Vineyard in August for a couple of weeks of vacation. He has golfed with friends like Vernon Jordan and Robert Wolf, eaten seafood at Nancy’s Restaurant and gone shopping for books at the Bunch of Grapes (purchases, according to Politico, included “Rodin’s Debutante” and “The Bayou Trilogy”). All and all, pretty much the way many people spend their time off, except that in this case the vacationer in question comes with hundreds of Secret Service people and a fairly sizable press corps. This year, however, in the midst of a tight battle for re-election, the president decided to forgo his two weeks off, freeing up hotel rooms and restaurant space that would otherwise have been gobbled up by his retinue. The effect of his absence on the local island economy varies according to whom you speak to, but as this is the high season, no one is exactly panicking. Joanie Levine, a reservationist at the Wesley Hotel, remembers a certain ka-ching factor from the president’s last visit. “We have 95 rooms here, and 70 rooms were taken by Secret Service people for roughly two weeks,” she said. Ms. Levine hadn’t seen the final tab, but with rooms going for an average of $255 a night, some basic math gets it to almost a quarter of a million dollars (excluding discounts) before a single cup of coffee is served. President Obama, of course, is not the only occupant of the White House to have stayed on Martha’s Vineyard. For the last two decades, Bill and Hillary Clinton have also been frequent visitors to the island; some residents see Mr. Clinton as more sociable than Mr. Obama.